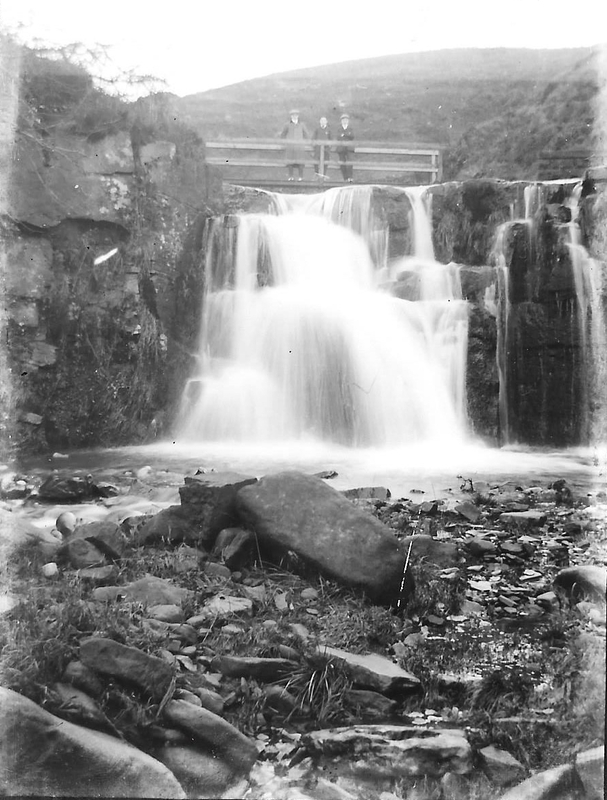 Above: For centuries the Lumb Clough bridge stretch of Holden Beck was the most popular of all local destinations for Silsden walkers. It was also favoured as a place for proposals of marriage. 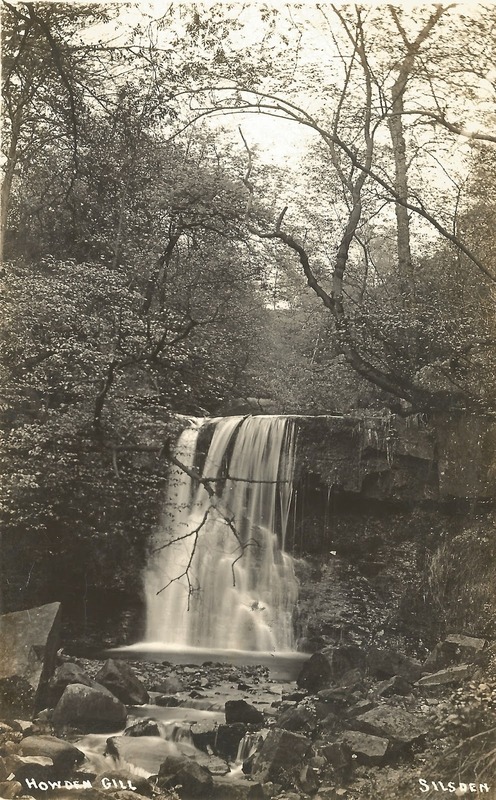 Above: the romantic reputation of this rural idyll was somewhat spoilt in the 1950s when Bradford Corporation placed a huge water pipe over the clough. It looks as if the largest artillery piece of the Second World War has been embedded in the hillside below Ghyll Grange farm. Above: a bridge has stood over the stream for at least 400 years. To the right of the present bridge is the farm ford where animals can cross just before the beck tumbles in a picture-postcard waterfall. 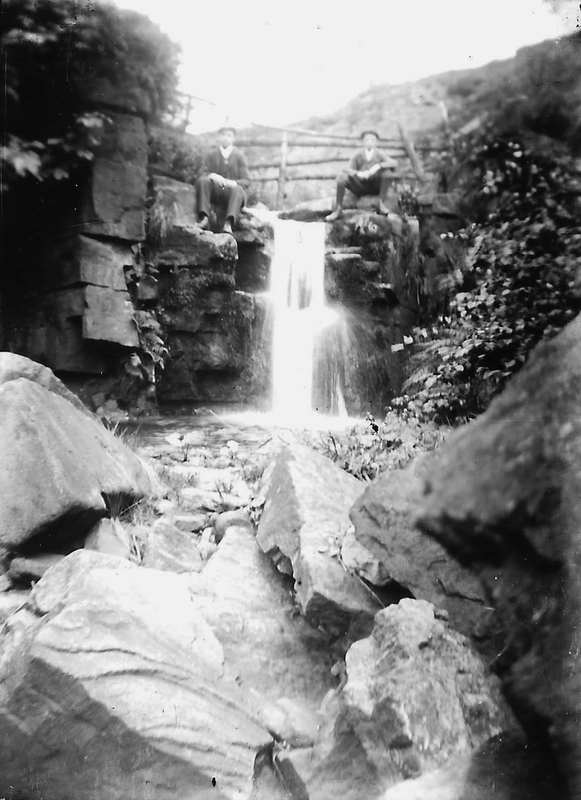 Above: a group of smartly-dressed visitors at Lumb Clough bridge in 1906. 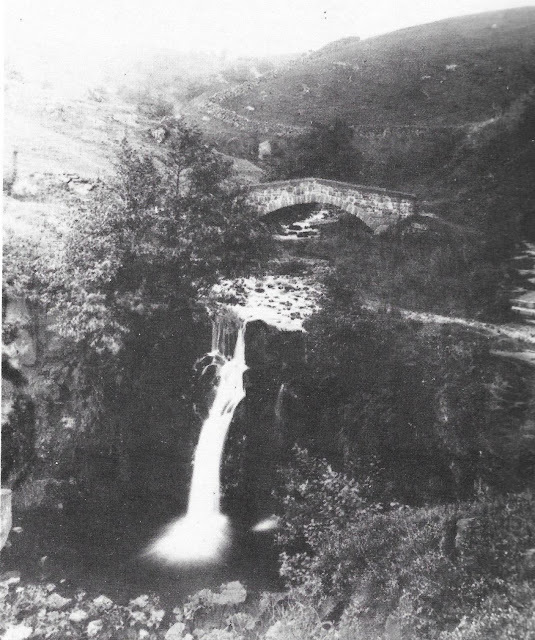 Above: this centuries-old arched packhorse bridge was swept away by a storm in July 1900. The photograph is published in both of the late Neil Cathey's books. 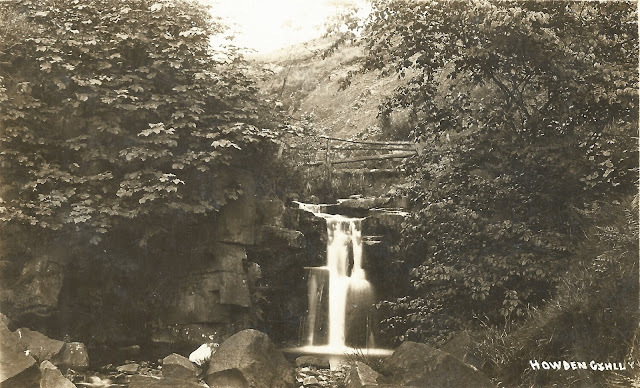 Above: Holden beck, or Howden Gill as this postcard has it, rises near Far Ghyll Grange and enters the River Aire in the Low Holden vicinity. In the 17th century the beck powered a watermill at Upper Holden (see my post of November 27th, 2015). Above: picnics and posing for pictures were a popular pastime. As far as we know, selfies were unknown. Above: this rudimentary bridge might have been a makeshift measure. Unfortunately dates are not known for the photographs with and without vegetation, nor for when the temporary and stronger wooden bridges were installed. The photographs above and below are from the late Neil Cathey's collections. Above and below: these two photographs by the late Will Baldwin were taken not long before the unsightly water pipe was installed. Above: Will Baldwin probably was one of the first local photographers to picture the pipe in place. Above: I took my Lumb bridge photos on January 29th 2017. Above: downstream of Lumb bridge the beck thrashes through deeply-ravined Jacob's Wood where there is also this Yorkshire Water sluice.